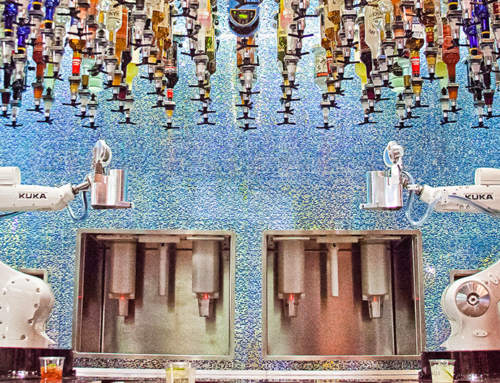 The Tipsy Robot Las Vegas Bar Attraction. 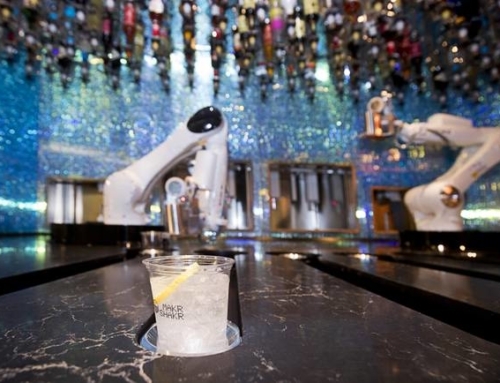 Home/In the News/The Tipsy Robot Las Vegas Bar Attraction. 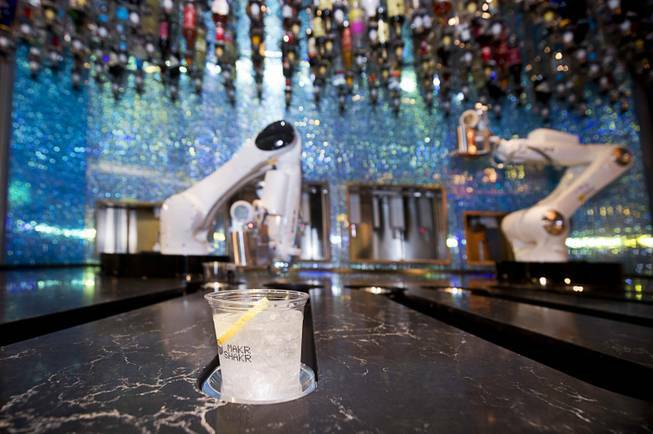 The Tipsy Robot is a one-of-a-kind revolutionary jaw-dropping Las Vegas bar attraction with wow factor. 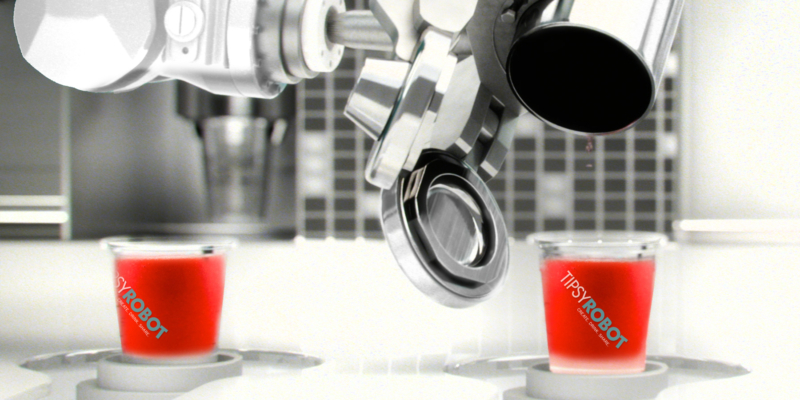 Robotic arms perfectly craft your drink you design from our app. 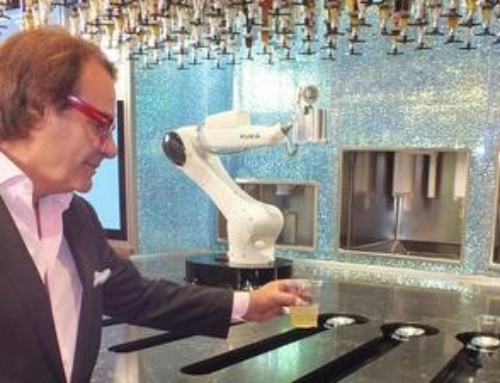 Creating drinks for robotic bartenders to serve is, it seems, very different from creating drinks for human bartenders. 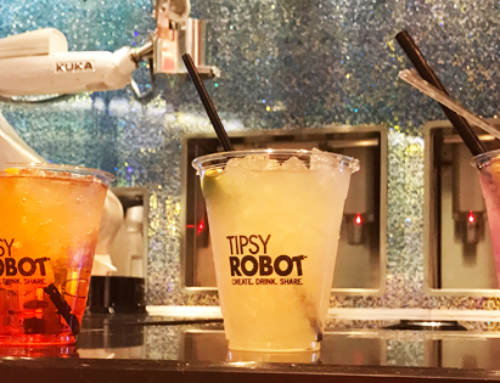 Lafranconi, executive director of mixology and spirits education for Southern Glazer’s Wine & Spirits, created the drinks for Tipsy Robot, which is expected to open this summer at the Miracle Mile Shops at Planet Hollywood Resort. 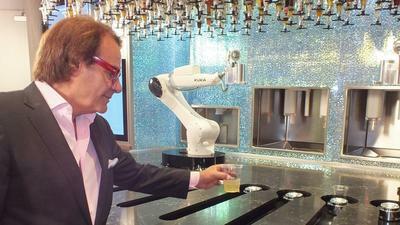 Human bartenders, he said, can free-pour a drink or use a jigger, while the robots use a jigger of exactly 0.75 ounces. And they’re limited in how many “slots,” or steps, they can perform. Out of the 14 available slots, he said, ice alone takes up seven. The robots should feel very comfortable among the bar’s decor, which will have elements such as metal mesh and corrugated steel wainscoting. The humans should, too, among wood and upholstery. Other features will include a live social-media wall and a “socially connected” photo booth, and customers will be able to order via iPhone or Android app — or from one of the drink-ordering stations, which also will have charging ports for phones. 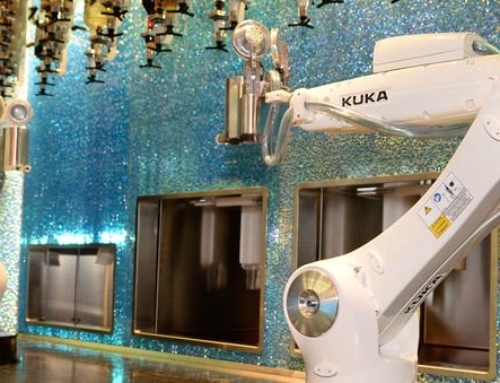 The robots, Lafranconi said, will be able to make a drink in 70 to 90 seconds, and they’ll be able to complete such tasks as cutting a lime wedge, grabbing it and dropping it in the drink. And, he said, there are other benefits. And for drinkers? They can save that tip for the next round.